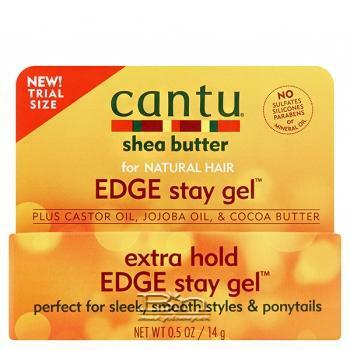 Cantu Shea Butter for Natural Hair Edge Stay Gel perfect for sleek, smooth styles and ponytails. Plus Castor oil, Jojoba oil, and Cocoa butter. 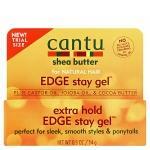 Directions: Apply to edges and smooth with fingertips or tightly bristled brush.